Along with sentiment and horror, romance emerges as a third genre with a structuring force in organ exchange. 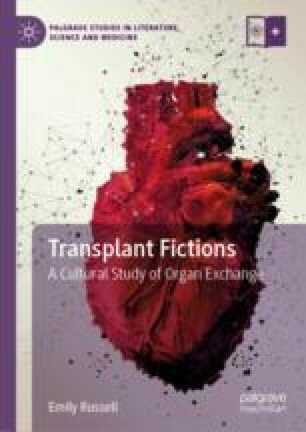 Chapter 6 finds recurring romantic tropes of hope and mobility across fictional and reported accounts of illegal organ sale. From the seller’s hope for movement out of poverty, to the broker’s transport of the organ across borders, to the recipient’s travel to sites of transplant tourism, each of these players enters this market with a belief in change. These linked motivations offer a series of dark yet romantic scripts by which we normalize even illegal organ trade.